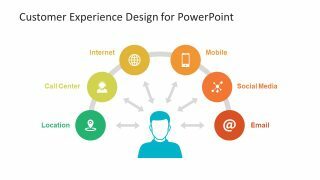 The colorful diagrams contain infographics as pictorial reference of a section and placeholders to add information. 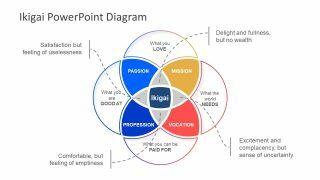 Further, it helps audience to quickly comprehend the key elements sequence of a strategy. 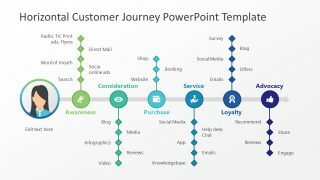 This PowerPoint presentation deck contain industry specific customer journey templates. 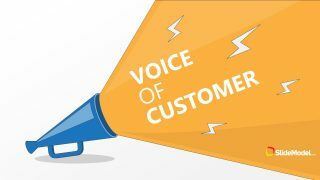 Therefore, saves considerable amount of time in designing. 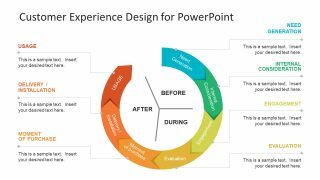 The template of customer experience design diagrams includes terminologies and layouts for professional presentations. 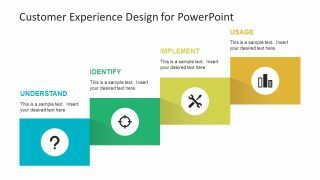 It lets users make changes in PowerPoint Such as, recolor, resize, reposition, add and delete objects or apply shape effects. 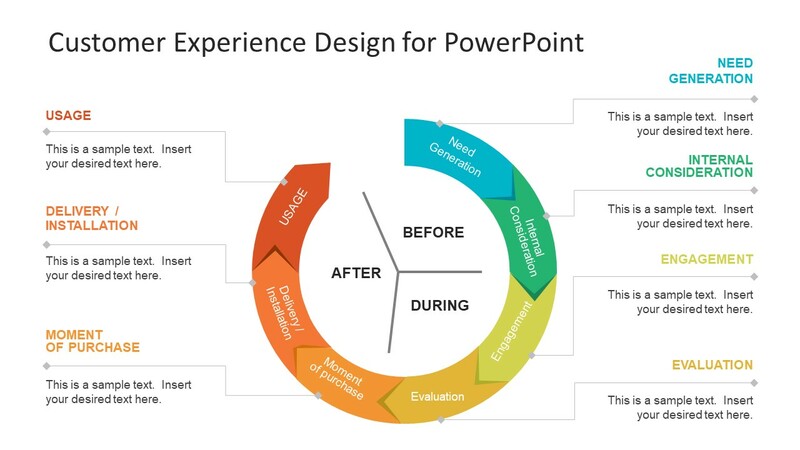 Like, customizing the 7 stages colorful customer experience diagram to a gradient two tones through shape fill option. 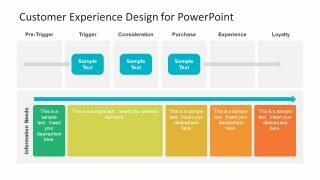 Insert elements like company logo, or product icon etc. Furthermore, alter the entire theme of presentation by selecting from variants dropdown menu in design. 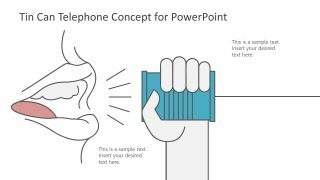 The shapes of PowerPoint are editable and users can edit each item individually like copying, replacing or deleting them. 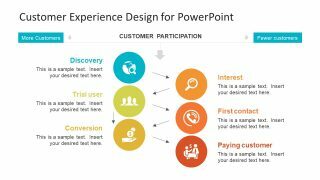 The users can copy a desire customer experience PowerPoint slide for their upcoming marketing presentation.